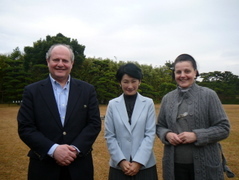 On the occasion of Siberian and Alaskan wild duck migration, traditionally marked at the Imperial Estate in Shinhama where His Imperial Majesty the Emperor of Japan organized a special shelter, representatives of diplomatic corps are invited each year to participate in the event aiming for their preservation and protection on his estate. Ambassador Mrkić with his wife attended the Duck Netting Event and met with the members of the Imperial Family, Princ Akishino and Princess Kiko, who were kind to be the hosts to diplomatic corps for this years' gathering. On December 9, the Japan Association of Travel Agents (JATA) held a seminar to promote the tourism resources and attractions of Serbia and it Balkan neighbours, Macedonia and Albania, with the cooperation of our and the respective embassy and representation in Tokyo. 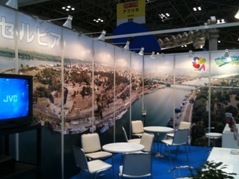 At the JATA Headquarters, around 30 tourism representatives from Japanese agencies attended the event. Head of Culture and Press Section, Ms. Aleksandra Kovac, gave a presentation in Japanese about tourism attractions, cultural and historical heritage and natural beauties of Southern and Eastern Serbia. The aim of this promotion was to introduce this less known Serbian region to Japanese market and stress the tourist advantages, especially in view of regional package tours by Japanese agencies. Serbian Embassy had an opportunity to participate in another annual International Charity Fair and Ikebana Exhibition, held in Tokyo Prince Hotel on December 7. 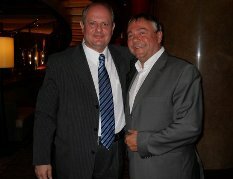 In this event, supported by its Honorary President H.I.H. 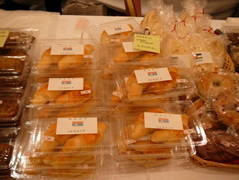 Princess Takamado, many countries presented their products and delicacies. During her visit to our booth, H.I.H. 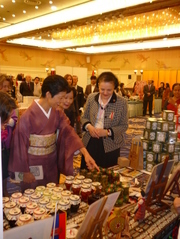 Princess Takamado showed her interest in the food products from Serbia. Mrs. Ivona Mrkić, the wife of the Ambassador, also presented to H.I.H. Princess Takamado a special handmade traditional gift from our country. 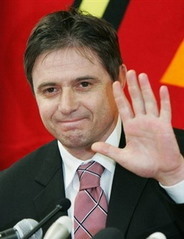 Japan Tourism Agency decided to nominate Mr. Dragan Stojkovic Piksi, famous Serbian football player, presently coach of Nagoya Grampus, a Sport Tourism Meister of Japan. By presenting this honorary title to Mr. Stojkovic, Japanese Tourism Agency aims at promoting Japanese tourism worldwide, as well as enhancing cooperation with Serbia in this field. 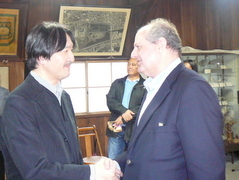 Mr. Stojkovic was officially nominated Sport Tourism Meister by Mr. Hiroshi Mizohata, Commissioner of the Japan Tourism Agency, at a ceremony in Tokyo on December 6, 2010. By receiving the nomination plaque, Mr. Stojkovic became one of only a few foreign athletes active in Japan who were given such an honorary title. 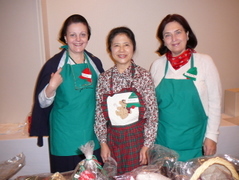 In ACC organization held their annual Christmas Charity Fair in Ebisu, during which the visitor were able to purchase some hand made products by internally displaced women from Serbian province of Kosovo and Metohija. For further information, please click here. 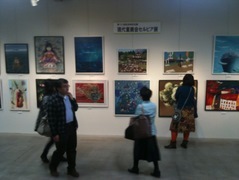 On the occasion of the opening of the 36th annual exhibition of Japanese Naive Art Society, a special viewing of works of their members, previously touring in Serbia, was held in the Mori Museum in Ueno. 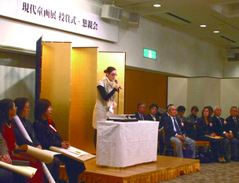 Head of Cultural Section Ms. Kovač gave a speech and presented an "Award of the Embassy of the Republic of Serbia in Japan" to one Japanese naive artist, while other recepients were awarded with the prizes given by various governmental and art institutions in Japan. Prof. Nobuhiro Shiba, Vice President of Japan - Serbia Friendship Society, also greeted the audience and expressed his hope for the future collaboration and strenghtening of relations between Serbia and Japan. 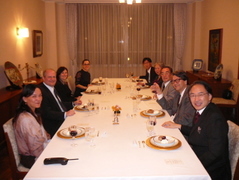 As a part of further efforts to enchance the academic and scientific ties between Serbia and Japan, Ambassador Mrkic, with his colleagues, hosted a dinner at our Embassy in the honor of the Belgrade University's Honorary Professors and Associates – Prof. Dr Ikuo Kameyama, President of Tokyo University of Foreign Studies, Prof. Dr Nobuhiro Shiba from Tokyo University, Prof. Dr Katsuhito Iwai from Tokyo University, Prof. Dr Hironori Fujii from Kanagawa Institute of Technology and Mrs. Akiko Igaya. It was also an occasion to celebrate the start of first Serbian language course at Tokyo University of Foreign Studies, owing to the great enthusiasm and support of Prof. Kameyama himself. Serbian surgeon Prim. Dr Milan M. Colić and his associate Dr Marko Milosavljević took a part in the International Seminar for Plastic and Reconstructive Surgery, held in November in Tokyo. 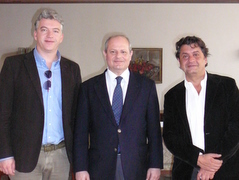 Dr Milosavljević had a noticeable presentation about his medical work in Colić Hospital in Belgrade. During an annual event organized by Kyoto City under the name "Kyoto International Community House Open Day" (KICH) on November 3rd, Friendship Society Serbia-Japan "St. Nikolay of Japan" presented Serbian food and culture, inviting all interested to join them in tasting of famous dishes and learning more about our country. 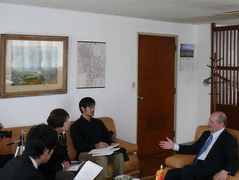 Mr. Nemanja Grbić, attache in the MFA of the Republic of Serbia, is partipating in the Japanese language program for foreign diplomats and public officials 2010/2011, organized by Japan Foundation and MFA of Japan in the Kansai Japanese Language Institute. This is the fourth participant from Serbia to be invited to join this program, aiming to enhance Japanese language abilities of foreign service officials in transitional and developing countries. Renowed Japanese poet and Professor at the University of Belgrade, Faculty of Philology, Mrs. Kayoko Yamazaki, will collaborate again with conductor Ko Matsushita for a Concert in "Shinjuku Bunka Center" on November 3rd, during which some of her work will be presented. The details can be found on http://koyukai.info/ . On November 4, Prof. Yamazaki will give a lecture at the Tokyo University of Foreign Studies on Culture of Symbols and Globalization. For the details about the lecture, please click here. In organization by NPO Active Middle International Association and with the endorsement of Ministry of Foreign Affairs of Japan, the 2nd Futsal Games between the embassies of five continents was held in Tokyo. Serbian futsal team members, consisted of Embassy staff members, their spouses and Serbian and Japanese friends, made it to the final and won the second place. Congratulations!!! On request by trilingual Japanese Magazine "International Tourist Network Open" published by Big Moon Co., Ambassador Mrkic introduced various tourist attractions and advantages of Serbia for their readers. He also spoke about the activities of the Embassy and domestic tourism organizations in promoting our natural and cultural/historic beauties on the Japanese market, which has shown in recent years a growing interest for Serbia and the surrounding region. We are pleased to announce the participation of Serbian women team in Championship to be held in Tokyo, as a part of Group A with Japan, Poland, Peru, Algiers and Costarica. This will be a great opportunity to support our team. Please find the event schedule here. The tickets can be purchased on the official website: www.sebare.com. 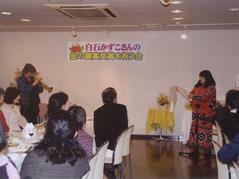 Mrs. Etsuko Tsunozaki, wife of H. E. Mr. Toshio Tsunozaki, Ambassador of Japan to Serbia, organized on October 20, 2010 at the Musashino Swing Hall the Concert in Commemoration of the Tour in Serbia 2010. 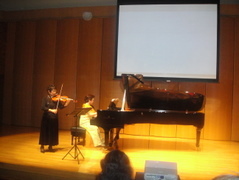 Mrs. Tsunozaki as a violinist, Ms. Motoko Koizumi, the Pianist and Mr. Takashi Nakamura, Tenor, performed famous traditional and modern Japanese songs, which they also introduced to Serbian audience during the tour in June this year. The programme of the concert included reports on the Tour in Serbia with video and photo shows. 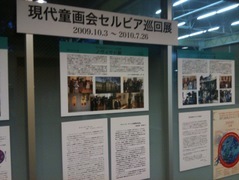 On November 25, 2010 another concert will be held in Osaka. One of the objectives of the concerts is to raise the funds for organizing the tour of Serbian famous choir “Barili” from Pozarevac in Japan, in 2013. 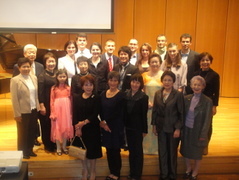 The concerts are organized under the auspices of the Embassy of Serbia in Japan. Mrs. Ivona Mrkic, wife of the Ambassador and Mrs. Snezana Jankovic, First Counselor, attended the concert. 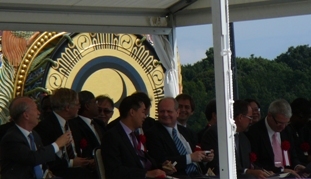 Following the last visit of representatives from Fujimi city to its Serbian sister city of Sabac in 2006, Friendship Club President Mr. Vule Čekić and his associates were invited to visit Japan and participate in the celebration of 28 years-long intercity friendship and Fujimi's annual festival. Serbian guests were also welcomed at our Embassy, which together with Japan-Serbia Association, organized a reception on this occasion. 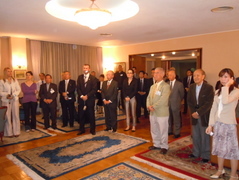 In a friendly atmosphere that gathered numerous Japanese and Serbian friends, the guests were greeted by Ambassador Mrkic, Mr. Čekić, Japan-Serbia Association Vice President Prof. Nobuhiro Shiba and Fujimi International Friendship Association President Mr. Toshio Maki. Delegation from Šabac also met the mayor and other officials of Fujimi city and was introduced to various city institutions and Japanese historical and cultural heritage. Delegation of the University of Belgrade, Prof. Dr. Djuro Koruga from the Faculty of Mechanical Engineering, Prof. Dr. Zoran Krivokapic from the Faculty of Medicine and Mr. Aleksandar Obradovic, director of ADOC Company, collaborator of Incubator of Technical Faculties of the Belgrade University, visited Japan from October 18 to 24, 2010. The delegation had fruitful meetings with the highest representatives and scientists of Kobe University and Tokyo Institute of Technology. They have discussed ways of intensifying cooperation among universities in the field of nanotechnology and biomedical researches. They have also visited Japanese companies, famous for their advanced achievements in these fields, such as JASCO, Hamamatsu Photonics and Kao. On October 16th, Megatrend University Belgrade, Proudfoot Japan, Inc. and AIO corporation from Hawaii decided to establish Teogaku Training School in Tokyo, aimed to offer the high quality of training of already experienced executives. 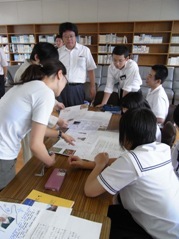 The first generation of executives was scheduled to start the School on January 20th, 2011. 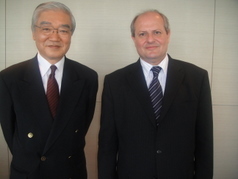 Ambassador Mrkić had a privilege to meet personally with Mr. Tsunenari Tokugawa, eighteenth head of the main lineage of the famed Tokugawa family, who is now heading the nonprofit Tokugawa Foundation. It was a great opportunity to learn about the current work and strong efforts of Mr. Tokugawa related to the preservation of Tokugawa heritage and support of education in Japan and abroad. They also exchanged the views regarding the historical processes and present socio-political situations in Serbia and Japan. 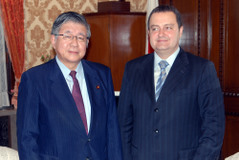 On the invitation of the Ministry of Foreign Affairs of Japan, Mr. Aleksandar Vučić, Deputy President of the Serbian Progressive Party, participated in a program of Japanese Government aimed to introduce the current situation of Japan through meetings with government officials, business and academic persons and sightseeing in Japan. During his stay in Japan, Mr. Vučić visited also other Japanese cities like Kyoto, Hiroshima and Nagoya. 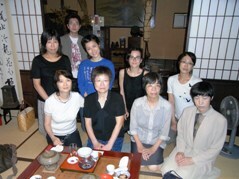 Japanese poet Kazuko Shiraishi was awarded Serbia's 41st "Smederevo Golden Key Award" on October 20, 2010. On this occasion her book "Little Planet" was published in Serbia bilingually, both in Serbian and Japanese. 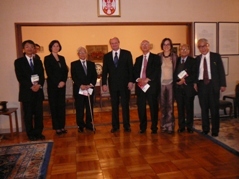 Upon her return from the award presentation ceremony in Serbia, The Poets Society of Japan organized a reception in honor of the famous poet. Mrs. Snezana Jankovic, First Counselor of the Embassy of Serbia attended the reception and extended sincere congratulations to Mrs. Kazuko Shiraishi on behalf of the Embassy of Serbia in Japan. 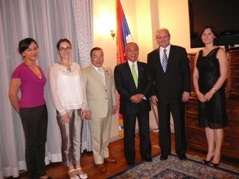 Ambassador and his wife were invited to join H.I.H. Emperor and Empress of Japan, government dignitaries, foreign diplomatic representatives and other distinguished guests at the official commemoration ceremony, marking the 1300th anniversary of Nara Heijo-kyo Capital. Owing to this special occasion, they had an opportunity to meet with various officials from Nara Prefecture and Nara City and learn more Japanese efforts to preserve the ancient tradition, historical and cultural heritage of Japan. Serbian delegation, headed by Ms. Vida Ognjenovic, famous writer, playwright, theatre director and Ambassador of Serbia in Denmark, participated in the 76th International P.E.N. 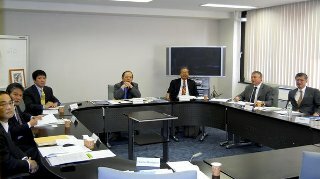 Congress in Tokyo. Participation of Serbia in this important event was of a special significance this year. 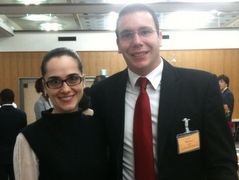 After the presentation on Serbian capital and Ms. Ognjenovic’s statement on Serbia’s long P.E.N. tradition, Belgrade was unanimously elected as a host city for the next, 77th International P.E.N. Congress, its candidature warmly welcomed by the delegates of many countries. 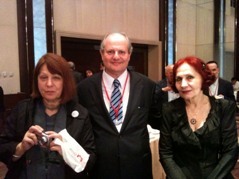 The Congress in Belgrade will be held from September 12 to 18, 2011. Serbian P.E.N. Center was established in 1926 and many writers of international fame were on its helm. Through its history, Belgrade has also hosted many world leading writers, who participated in the International Meeting of Writers, held every October. Ambassador Mrkic, with his associates, hosted the dinner in the honor of the Japanese members of Serbian Academy of Sciences and Arts, and Academy of Engineering Sciences of Serbia at our Embassy. Our distinguished guests, the leaders in their field of expertise, awarded and admired for their work in Japan and abroad, were members of the Japanese Academy of Sciences Prof. Tamio Yamakawa, Prof. Juinichi Nishizawa and Prof. Kunihiko Suzuki, as well as Prof. Masayuki Iwata from Chiba University and Prof. Yoshihiko Nakamura from Tokyo University. We had a great pleasure to exchange some thoughts and ideas regarding the bilateral cooperation in the field of science and technology with our prominent Japanese counterparts, who expressed their warm support and interest in further enchancement of relations between Serbia and Japan. 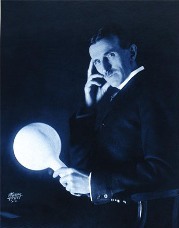 BS-hi Channel of the national broadcasting station aired the new science programme "Giants of Light and Shadow", which presented the life and achievements of great scientist of Serbian origin, Nikola Tesla, and his partner but then opponent Thomas Edison. The showing highlighted the genius and unprecedented value of Tesla's work in the field of electric energy and other scientific areas. Our Embassy and the Museum of Nikola Tesla in Belgrade, together with other Japanese admirers of Tesla's achievements, made their contributions and gave support in making of this programme. The Program will be aired again on October 15th, at 19.00 at the NHK BS-hi. On August 18, 2010, Japanese company "Waido Waido" and Serbian company "Agrostemin D.O.O." signed contract on representing this Serbian company and its product, Agrostemin, in Japan. The contract, previously signed by the Japanese company "Nagai Hoshi", was now transferred to "Waido Waido", which is mainly dealing with promoting import of Serbian food and agricultural products to the Japanese market. Agrostemin is natural biostimulator, widely used in the agricultural production. 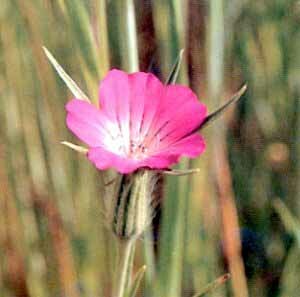 It is created on the base of corn cockle (Agrostemma githago), dust and other plants (cultivated, as well as weeds), and invented by Serbian scientist Dr Danica Gajic. Agrostemin significantly increases the quantity and quality of yield and optimizes the cost of agricultural production. BELGRADE — Serbia will never recognize this unilateral declaration of independence: We seek peaceful compromise. 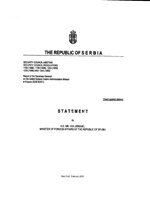 On Feb. 17, 2008, the ethnic-Albanian authorities of Serbia's breakaway province of Kosovo unilaterally declared independence against the will of the U.N Security Council and in contravention of my country's constitution. We made it immediately clear that we would never recognize the unilateral declaration of independence, implicitly or explicitly. This position will not change. Serbia will continue to use all diplomatic resources at the disposal of a sovereign state to oppose Pristina's attempt at partitioning our country. No democratic and proud nation — whose territorial integrity is under threat — would act differently. From the onset of this grave crisis, we responded to the unilateral declaration of independence peacefully. In October 2008, the United Nations General Assembly overwhelmingly approved a resolution seeking the legal opinion of the International Court of Justice on the lawfulness of the unilateral declaration of independence. After many months of deliberation, the court delivered its findings. It neither endorsed the view that this unilateral declaration of independence was a unique case, nor Pristina's claim that Kosovo is a state. Moreover, the court failed to approve the province's avowed right of secession from Serbia, or any purported right to self-determination for Kosovo's Albanians. Instead, the court chose to narrowly examine the language of the unilateral declaration of independence. This strictly technical approach made it possible to say that the text of the declaration itself did not violate international law. The Kosovo Albanian authorities are deliberately misinterpreting the court's views as a legalization of their attempt at secession. This may produce extensive and deeply problematic consequences for the international community. Ethnic minorities across the globe could take advantage of the opportunity to write their own declarations of independence according to the Kosovo textual template. This would put them in a position to plausibly claim that such texts sufficiently legitimize their respective acts of secession, and for their proclaimed independence to be in conformity with international law. The inherent dangers of such a scenario must be prevented. Otherwise, the borders of every multiethnic state would be permanently threatened by secessionism, producing lasting instability throughout the world. The court has left it up to the U.N. General Assembly to manage the political repercussions of the advisory opinion. This has been confirmed by U.N. Secretary General Ban Ki Moon, who stated that the General Assembly "will determine how to proceed on this matter." The forthcoming debate will therefore focus on the consequences and implications of Kosovo's unilateral declaration of independence in light of the court's findings. We must ensure that the outcome of this debate makes a positive contribution to global governance. We must find a realistic approach to close the Pandora's box opened up by Pristina. The only way forward is to commence peaceful dialogue between the parties that produces a compromise, a mutually acceptable solution to all outstanding issues. The consequence of a failure to agree on Kosovo would be the establishment of a universally applicable precedent that provides a ready-made model for unilateral secession. Serbia is committed to working with the international community to prevent such a disastrous scenario. What we seek is an equitable outcome that both sides can embrace. This is the only way to reinforce shared priorities, to normalize relations, and to complete the democratic transformation of the Balkans into a stable, prosperous region fully integrated into the European Union. Vuk Jeremic is foreign minister of Serbia. 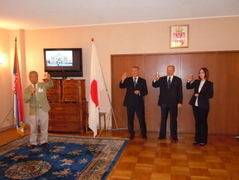 On the occasion of being proclaimed an honorary citizen of Belgrade on June 7, former Japanese Ambassador to Serbia Mr. Nagai, accompanied by Mr. Osamu Hirashita from "Japan Planning Systems Co." and Japan-Serbia Association Member, met with Ambassador Mrkic and his associate Ms. Kovac at our Embassy in Tokyo. We warm-heartedly congratulated Ambassador Nagai on this distinguished acknowledgment, which was given, by now, only to few high ranking foreign representatives, mostly heads of states. Ambassador Nagai expressed his deepest gratitude for this rare privilege, making him the first Japanese to receive such honor from the Serbian capital. He announced the plans to attend the Awarding Ceremony in Belgrade on August 20, when the Mayor of Belgrade himself, Mr. Dragan Djilas, in the presence of numerous guests and media, will present him with the Charter of an Honorable Citizen of Belgrade. "Duško Radović" will perform play "Book of Wandering", based on the book by Serbian author Dalija Aćin. Their participation is supported by the Secretariat for Culture of City of Belgrade, Ministry of Foreign Affairs of Republic of Serbia and this Embassy. On the invitation and in organizationby NPO "Actions for Children in Crisis" (ACC), head of Cultural Affairs Section Ms. Kovač visited Ouchi Junior High School to take part in the annual Japan-Serbia Exchange Program. The project's goal and the activities of ACC, which has been very active in Serbia and collaborated with our Embassy on numerous occasions, aim to strenghten friendly relations between two countries and provide support for socially vunerable groups (refugees from former Yugoslavia and internally displaced persons from Kosovo-Metohia Province, etc.). On this occasion, Ms. Kovač was given the opportunity to talk about Serbian history, cultural heritage and natural beauties. 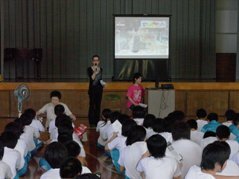 Students from all grades and teachers attended this presentation, which was followed by ACC workshop activities. With the School Principal, Mrs. Yamaguchi, and other school teaching staff, Ms. Kovač exchanged the opinions about possibilites to continue and develop this project, and was also invited to talk more about the current social and political issues in Serbia.